Hi, I’m Matt. I work in the Department of Health Digital team and my time is split between the NHS.UK Beta programme and the Healthy Start Scheme. On Healthy Start I’ll be offering support as a Product Manager. Hi, I’m John. I work in the Department of Health and I’m the Healthy Start Digitisation Programme Manager. I also help manage the overall Healthy Start Policy. In addition to John and me, the team is made up of a delivery manager (Hong), policy lead (Rebecca), NHS Business Services Authority contract manager (Katy) and our user researchers (Darwin and Alastair). What is the Healthy Start scheme? Healthy Start is a UK-wide statutory passported benefit, funded by the Department of Health, which provides additional support to improve the diets of low income pregnant women and families with children under the age of 4 years to give them the best start in life. Healthy Start recipients receive vouchers worth £3.10 a week which can be exchanged with registered retailers for fresh or frozen fruit and vegetables, plain milk and formula milk. Currently the Healthy Start scheme is paper based. This includes the application form which cannot be sent in digitally, and the vouchers themselves which are posted out every four weeks. As a team, we believe that digital could offer a better experience for many of our users and reduce costs. However, rather than just run and buy something we want to make sure we properly understand our users first. Some of the big questions we have to answer are whether users would be willing and able to use a digital service and why it would meet their needs better than paper. This week we kicked off the Healthy Start discovery with an inception workshop. The inception is a session where all stakeholders and colleagues get together to make sure that everyone understands the challenge. One of the exercises at the inception was to identify hopes and fears. This is a really good way of understanding everyone’s expectations for the discovery phase and identifying things we can do early to avoid the fears. 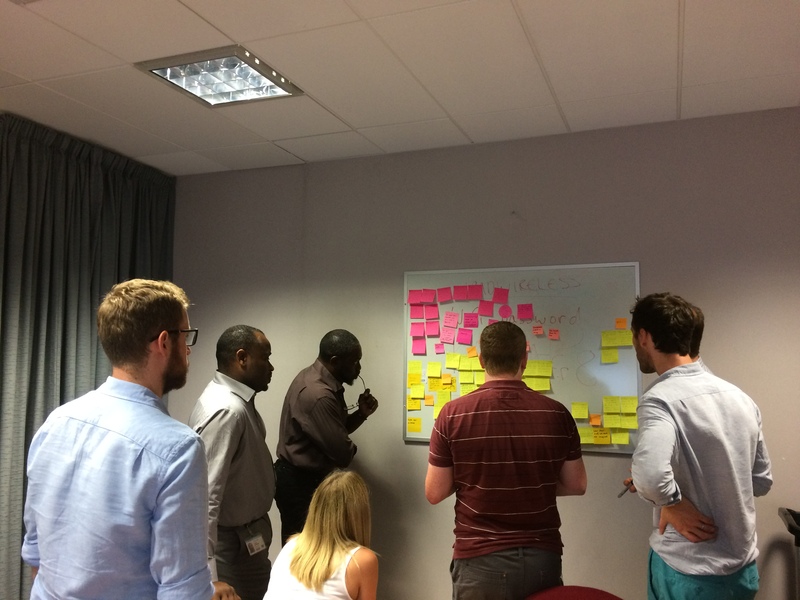 Along with some of the expected hopes of learning lots about users, we're identifying ways we could improve the service and sharing knowledge of digital projects across the health and care system, we also had some that were more specific to us and our roles. For example, I (Matt) am really keen for the Healthy Start discovery to be seen as an exemplar across health digital services. I’m also really excited about how we work in an agile way and how this can become a model for small digital delivery teams across health and care. And for me (John) I am really keen that lots of digital skills transfer from our suppliers to department staff takes place. It’s essential for us to quickly build our digital skills and experience so that corporately we can run digital services in the future. We’ll blog regularly about our progress, how we are working and what we learn throughout the discovery. In the meantime do comment on the blog or get in touch on twitter @imattharrington, @hongatdh or @johncatDH. We are also looking for research participants throughout the discovery. If you are a practicing midwife or health visitor who regularly works with women who are eligible for healthy start we'd like to hear from you. Thanks for letting us know what is happening in your area. It's really helpful information which we'll keep in mind as we take the digitisation programme forwards.